The 'book' - both material and metaphoric - is strewn throughout Shakespeare's plays: it is held by Hamlet as he turns through revenge to madness; buried deep in the mudded ooze by Prospero when he has shaken out his art like music and violence; it is forced by Richard II to withstand the mortality of deposition, fetishised by lovers, tormented by pedagogues, lost by kings, written by the alienated, and hung about war with the blood of lost voices. The 'book' begins and ends Shakespeare's dramatic career as change itself, standing the distance between violence and hope, between holding and losing. 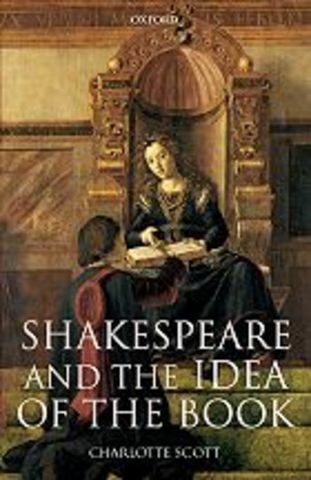 Shakespeare and the Idea of the Book is about the book in Shakespeare's plays. Focusing on seven plays, not only for the chronology and range they present, but also for their particular relationship to the book - whether it is political or humanist, cognitive or illusory, satirical or sexual, spiritual or secular, social or subjective - Scott argues that the book on stage, its literal and semantic presence, offers one of the most articulate and developed hermeneutic tools available for the study of early modern English culture.